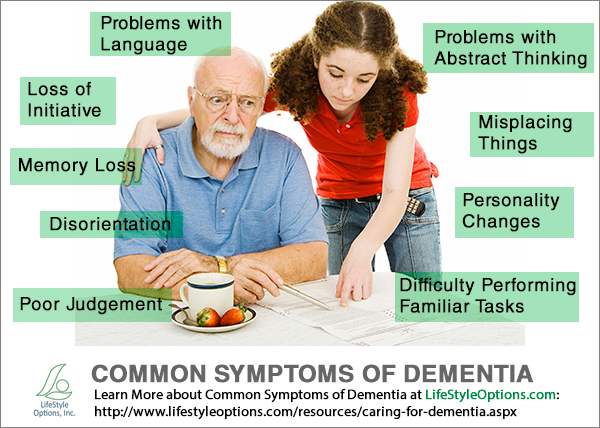 It is Day 9 of Dementia Awareness Month 2015, or Alzheimer’s Awareness Month as it is technically called and Trademarked. As Alzheimer’s Disease is simply one of more than 130 types or causes of a dementia, many people with dementia, prefer to call it Dementia Awareness Month; we hope that one day, organisations will do the same. Today, it is a rambling blog, with rambling thoughts, most of them about living with dementia, or about blogging, our family care partners, my husband and children, and my many friends and family – some who have stayed by our side and continue to support us, and many, including my parents, who have unofficially chosen to move away. They just stopped contacting us or returning our calls or sending birthday and Christmas cards. Why do people support someone with dementia? Why do they not? These are the two questions so many people with dementia ask, and generally, have no answer for. Most of us believe it is not due to meanness or unkindness, but rather due to ignorance and myths. Perhaps it is simply the myths and stigma of dementia, as the public perception is that once you are diagnosed, perhaps you have grown horns, or more likely, as is because of the way we are most often portrayed in the media with offensive and negative terms and language, using images of ‘very old’ hands or sad faces, with funeral music, as if when we are diagnosed with dementia, we are at end stage. That is, for the most part, not likely or even possible, in the same way people with cancer are usually not end stage of their life. That is, quite simply, just wrong. It is also the reason, if you are seemingly living well with dementia, so many question your diagnosis, even though, if you were living well and in remission even from a cancer, people would not only applaud you and want to know what you were doing, they would NEVER question the diagnosis. Most often, dementia is portrayed in the media by highlighting the deficit we have, rather than showing the lighter side of living with dementia. I guess if it looks easy, if it looks like none if ‘suffering’, they done; see newspapers, and advocacy organisation don;t get funding. But this tactic is at a high personal cost to people trying the best to live beyond the diamond if dementia. What is highlighted publicly and almost everywhere, are our deficits, and our losses and sadness, rather than the strategies we could adopt for living with the symptoms (or disabilities, as I prefer to see them) of dementia. If we were in a wheelchair, or had lost our sight, the media and public support around these would be vastly different; it would be supportive, positive, and would help us see there was life after our disability, it would not define us by our losses. How much better would this image be, if each ‘common symptom‘ had beside it, a strategy for how to support each disability???? 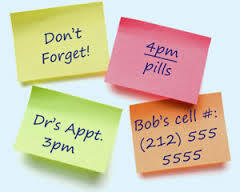 They seem simple, but I LOVE POST IT NOTES. I love laminated help sheets. I love electronic reminders, and my husband who phones and reminds me in case I ignore the electronic reminder! I love my walking stick as it stops me falling over. I especially love the way Universities support PEOPLE with disabilities, regardless of the reason for the disabilities. The university disability support staff do not ‘write people with dementia off’, they teach us how to support our new and changing disabilities. Nothing I can really add to the comments already posted apart from thanks for being there Kate. How a Care Partner like me needs your posts. Keep them coming my friend. Love your posts. So sorry to hear about your parents. I love it that you “took the bull by the horns and decided I was going to live the best life I could”, and am glad it is working for you, and we are in it together, fighting as hard as we humanly can. But, of course not everyone even wants to walk down that road, preferring instead to grab their bucket list, or even just quietly accept the inevitable. We are all different, and how each and every person responds to any situation in their life, including a terminal illness, is unique, individual and totally right for them. Hi Kate, I am a new follower of your blog and am appreciating gaining a new insight through what you share. The thing that stands out to me here, aside from how sad it is that health sector is so far behind in working alongside people who have dementia, is how devastating it is for family and friends to be so far behind…that they walk away. I must admit my first thoughts are fear based ones. What would I do? How do I help? What if I can’t cope? It’s because of these questions (and a family history of dementia on my husbands side) that I am currently completing the MOOC through University of Tasmania. I want to learn so I am not one who responds out of my fear or my ignorance. It is a little overwhelming to feel useless in the face of someone else’s suffering. I do not offer this as an excuse, but perhaps a possible explanation for what is otherwise incomprehensible – the walking away. I have recently come across a website called superbetter.com I wonder if you have seen it? I do not wish to suggest this offers a solution, but some of the benefits it speaks of include educating those around you how to support you. I found the TED talk by the games designer, Jane McGonigal, really interesting – and I’m not into games. This is the link to her talk if you are interested (sorry i don’t now how to add links). I’d be so interested to see if you thought it might be a tool, certainly in the early stages, to be able to connect well with significant others/carers to communicate symptoms and strategies and take them on a journey with you as you learn about how you will live with dementia. Thanks Kellie… I have not seen this site, but will have a look son and let you know! Richard Taylor had the perfect reply to people who did not now what to say… just say HELLO. Thanks for joining the conversation here too, it is lots of fun, occasionally challenging but overall, at least for me, a very enjoyable experience getting to know people.